Dramatically smoothes and reduces lines and wrinkles associated with expression. These lines are caused by repeated frowning and squinting commonly affecting frown lines, forehead lines and crow’s feet. 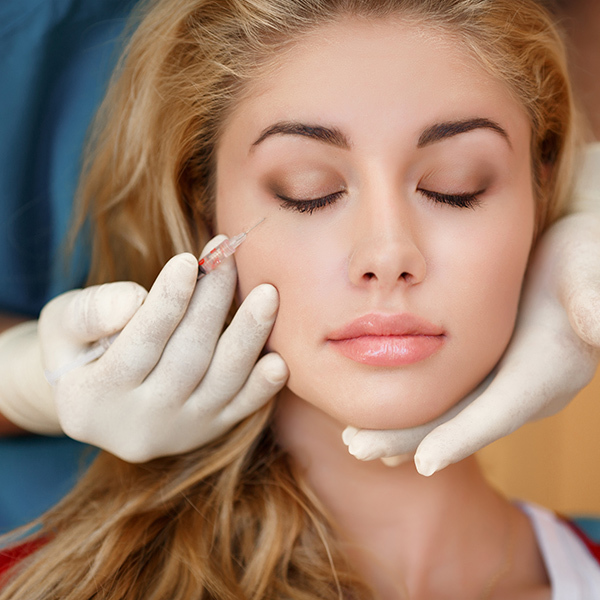 Botox can also raise the eyebrows, soften lines around the lips, raise the corners of the mouth, and be effective for platysmal bands on the neck and bunny lines on side of nose. Botox is a natural purified protein derived from bacteria which is used to relax specific facial muscles that cause expression lines. It is a non-surgical treatment whereby a small amount of Botox is injected into selected facial muscles using a very fine needle. Botox temporarily blocks the production of a chemical transmitter which is responsible for transmitting electrical impulses between the nerve and the muscle which permit’s the relaxation of the muscle. The lines gradually smooth and new lines are also prevented from forming. You can expect to see results within days after your treatment, and the appearance of the frown lines between your brows may continue to improve for up to a week. Results may last 3 months or longer, depending on the problem being treated. To maintain the effect, you’ll need regular follow-up injections.